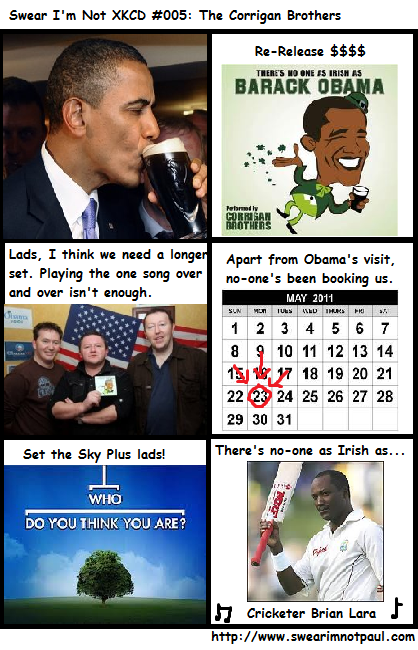 The fifth Swear I’m Not XKCD focuses on American President Barack Obama’s visit to Ireland this week. And as a special treat, I’ve added a second comic. Just because I thought I had an extra dollop of funny for you. Enjoy!